-50% on « Menu en 4 services autour de la truffe avec apéritif et café », or 30,00 € instead of 60,00 €! 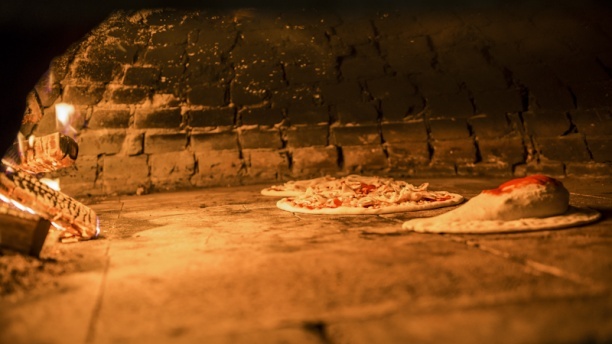 WOOD FIRE PIZZA - Located in the Vanderkindere street in Uccle, this Italian restaurant serves all the Italian dishes, from wood fired pizza to the hearty pasta dishes. PERFECT & FRIENDLY SERVICE in a family atmosphere with a cheap and inexpensive card. We had the truffle menu, it was fantastic except the desert that was too simple and not that delicious (ice cream from the supermarket). I recommend the sorbet though! The service was sometimes good, depending on the waiter (3 different people served us) and the boss is a bit peculiar. Nice Pizzas and super fast service. Recommended! Delicious pizze and wonderful Linguine Vongole. We’ll return. Une v r à i e pizza! An authentic Italian restaurant with great food at heart. Travel to Italy without leaving Brussels. Enjoyed dinner in this lovely resto, and sat next to the huge wood fire oven which brings excellent ambiance. Nice place good food and very friendly owner. We had a pre-set €30 menu consisting of glass of Prosecco and antipasto of shrimps panée & parmesan, good but maybe some sauce can do better. Then Primo: Bruschetta truffles(excellent), Secondo: linguini truffles(simple and delicious), Dolce: tiramisu(i lived it). Accompanied by tasty house wine and water and finally a good espresso. If it wouldn't be for thefork reservation the menu is supposed to be €60/p which i believe is over priced for this menu. But our discounted bill of €74 for 2 was good price quality. We had lovely evening. le menu autour de le truffe était délicieux ! nous nous sommes régalés, le service est super, la deco est belle et fun ! les linguinea la truffe etait incroyaaable ! la pizza aussi, nous y reviendrons avec plaisir!! par contre, il vaut mieux réserver ! My girlfriend and I have spent a great time at II Lionelo. The food was very tasty (we took the "truffle" menu), the service was outstanding and warmful. And last but not least the price was more than correct. I strongly recommend this italian restaurant.